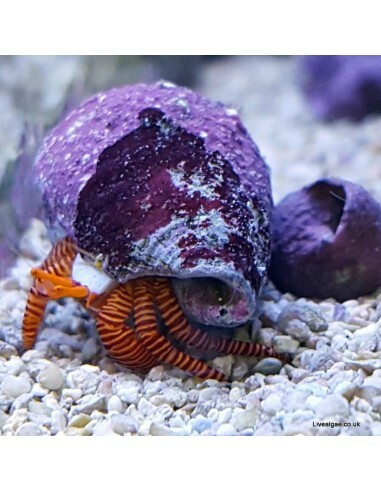 The Halloween Hermit Crab, has red - orange banded legs and is known for its appetite for nuisance micro algae like the green hair algae but as well cyanobacteria. It will be a great addition to the cleanup crew as it is peaceful too. They might become quite large, so we recommend them more for a min. 50 gallon reef tank in the long run. 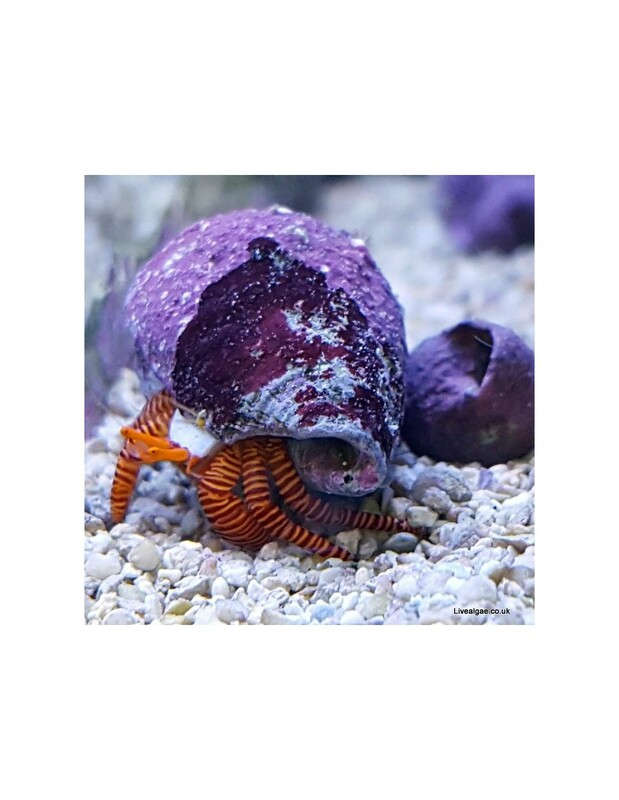 Like other Hermit Crabs, it will need enough shells to change it when it gets bigger, Our personal experience is that they are very effective algae eater, but as they become larger they are strong enough to disrupt or move some rockwork and corals etc. It will need sufficient algae and meaty food, to keep it healthy and happy.